For the first time, in 2018, the Access to Medicine Index is looking at cancer. Writing in Cancer Control 2017, we describe why and how it has been brought into the methodology. The need for better access to cancer treatment is clear. 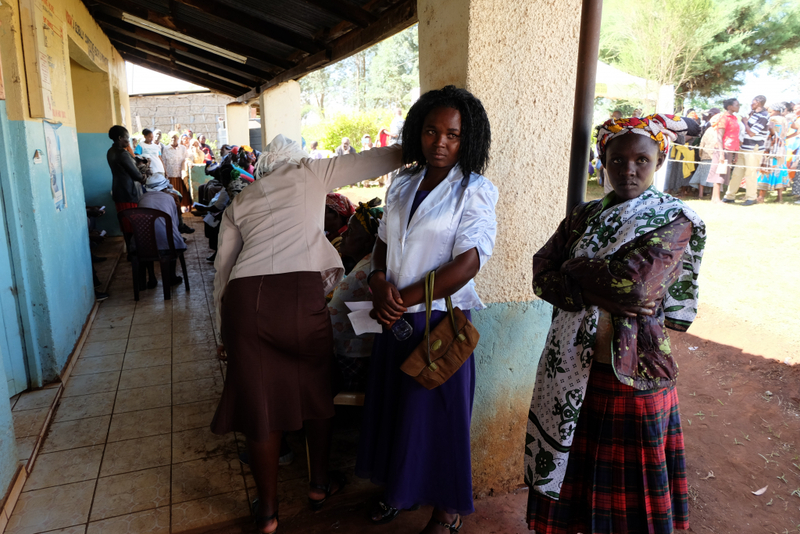 Cancer rates are rising in low- and middle-income countries, where around 65% of all cancer deaths occur. Yet many cancers are now treatable – provided local healthcare systems can swiftly identify people with cancer and treat them effectively. Last year, WHO expanded the set of cancer medicines that it recommends all national healthcare systems aim to make available. Writing in the latest issue of Cancer Control, Foundation Researcher Beth Boyer explains how the Index methodology was adapted to reflect this level of variation. 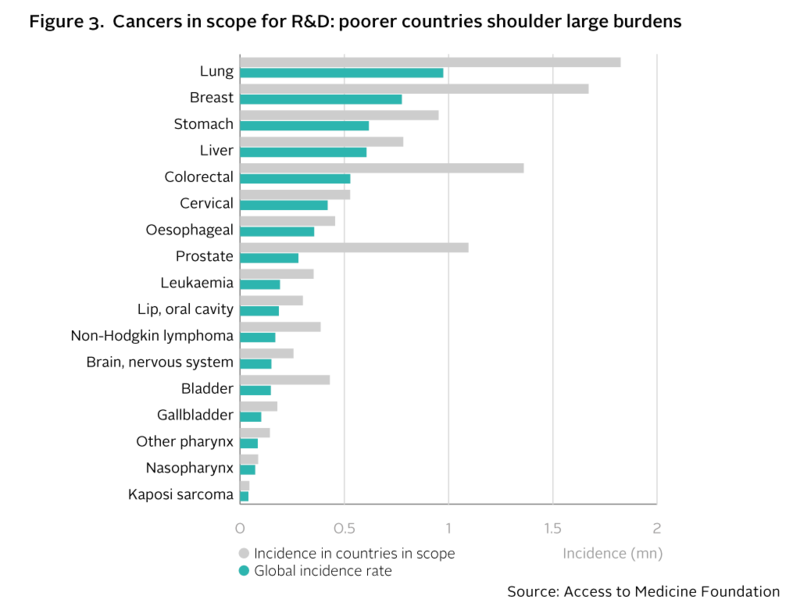 For example, the Index team analyses different sets of cancers for metrics linked to R&D on the one hand and for metrics linked to existing products (such as affordability and licensing) on the other hand. The 2018 Access to Medicine Index will compare how the world’s largest pharmaceutical companies are addressing access to medicine across 69 metrics and in 106 low- and middle-income countries. Cancer is one of 77 diseases and conditions that the 2018 Index will look at. Data-collection for the 2018 Access to Medicine Index is already underway. National governments continue to shoulder the main responsibility for putting cancer care systems into place, and there are huge differences in the relative strengths of national healthcare systems. Pharmaceutical companies can also play a unique role; they have considerable R&D expertise and resources, deep knowledge of their oncology products and of the infrastructure needed to make them available. The inclusion of cancer in the Access to Medicine Index will provide new insight into how this role can be developed and how more companies can expand their activities into this area. 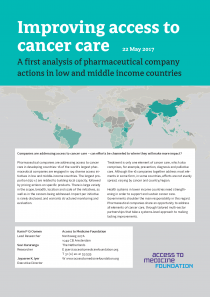 Following this study, the Foundation organised a workshop in Amsterdam in June for representatives of oncology companies to share practical steps for improving access to cancer care in low- and middle-income countries. The workshop participants included oncologists, access leaders and managers from eight of the large research-based pharmaceutical companies measured in the Access to Medicine Index. The Access to Medicine Index analyses 20 of the world’s largest research-based pharmaceutical companies with products for high-burden diseases in low- and middle-income countries. The Index ranks these companies according to their efforts to improve access to medicine in seven areas of corporate behaviour, including pricing, patents, ethical behaviour and donations. It covers 107 low- and middle-income countries and 50 high-burden diseases, and examines eight types of products, from medicines to vaccines to diagnostics. The Index identifies best practices, highlights where progress is being made, and uncovers where critical action is still required. 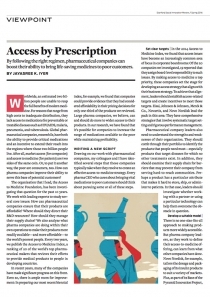 In this way, the Index provides both an incentive and a guide for pharmaceutical companies to do more to improve access to medicine. It is published every two years by the Access to Medicine Foundation, an independent non-profit organisation.